Featuring popular Irish tenor banjo player Enda Scahill, UK-based 5-string wiz Leon Hunt, and two all Ireland banjo players, We Banjo 3's Longford debut last year was a big hit. The join us again this year both in concert and in our workshops. Niall Toner is a writer, composer, broadcaster and generally talented expert on country and bluegrass music! His 3-piece band has been a favourite each year at the Johnny Keenan Banjo Festival and we are delighted to welcome him back once again! Described by Hot Press journalist Dermott Hayes as "the hottest honky tonk band east of the Pecos", Chris Meehan and his Redneck Friends is a band that embraces country music in all its many forms. Their repertoire includes Western Swing, Cajun music and a generous helping of Rock n' Roll. EXCLUSIVE EUROPEAN DEBUT!!! 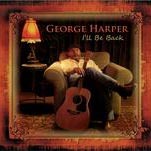 Nashville resident George Harper released his debut recording on Christmas Day 2009! Recorded and released on Tree-O-Records (owned and operated by festival favourites, the Carter Brothers) it is entitled "I'll Be Back". featuring 14 original songs covering a wide range of musical styles.... from Country and Bluegrass, to Rock and the Blues. According to George, "there's even a little easy listening on there...guess it would be classified "Americana", George has appeared at the festival twice in the past - along with the Tennessee Mafia Jug Band in 2006, and with Leroy Troy in 2009. We welcome the European debut of the George Harper Band! Exciting young acoustic band who brought the house down on the first night of the 2009 festival....We're delighted to welcome them back. 3-piece bluegrass band based in the midlands of Ireland. This is their first time to join us onstage.